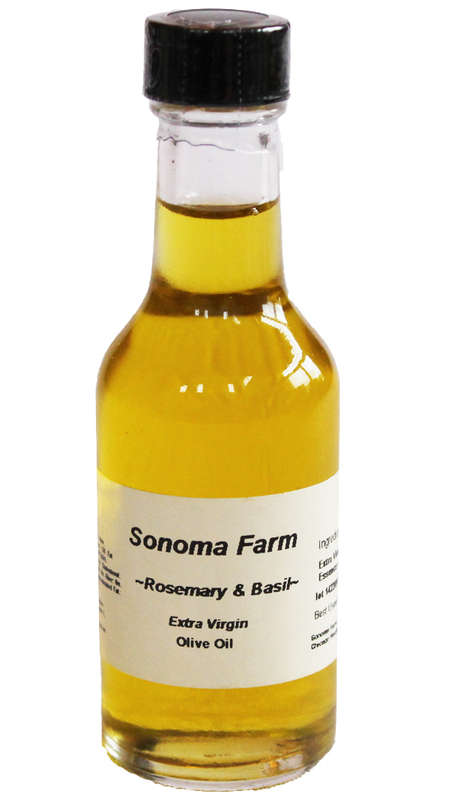 The rosemary and basil infused extra virgin olive oil has the taste of fresh picked rosemary and basil. Now you can eliminate the chore of having fresh herbs on hand; our blend of Extra Virgin Olive Oil and fresh rosemary and basil comes in one convenient quick step! Cooking AND eating made easy and delicious at Sonoma Farm….